French patisserie is one of the best in the world but, with all due respect, nothing comes close to swedish semlor. 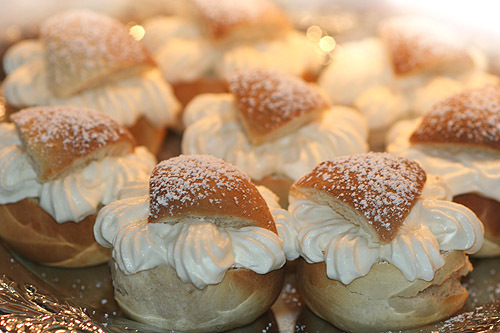 Today is the day when everybody in Sweden is enjoying a semla and I’m not. However, me and my friend Ailin (another swede living in Paris) will hook up and bake some later this week. Mums! AVIS!!!!! Forra aret va ju jag oxa med o gjorde semlor!!!!! NJUUUUT for mig med! Ja!! Vi pratade om dig då 🙂 Sade att sist var ju hemma hos Ammi! Det var en trevlig kväll med mycket socker och goda semlor.